Happy Thanksgiving, y'all!! 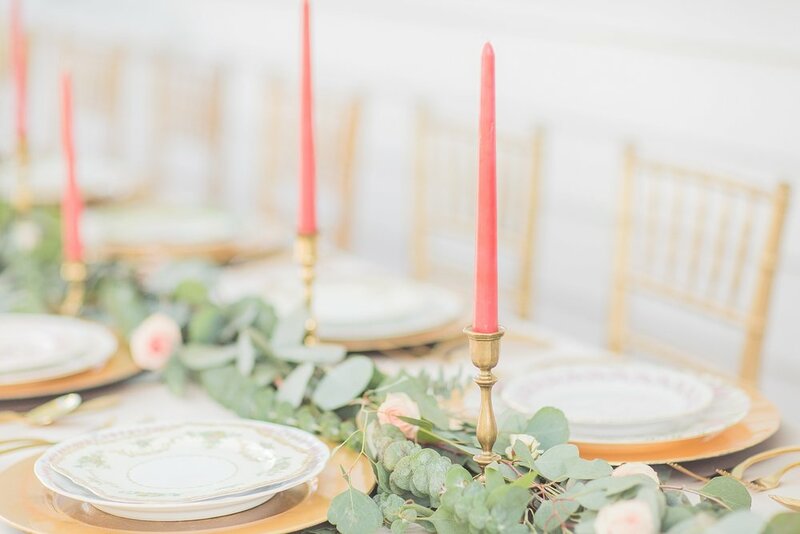 We're spending the day relaxing with family, but I thought it'd be the perfect day to share this GORGEOUS wedding tablescape designed by Holly Holloway of Epiphany Event Planning! 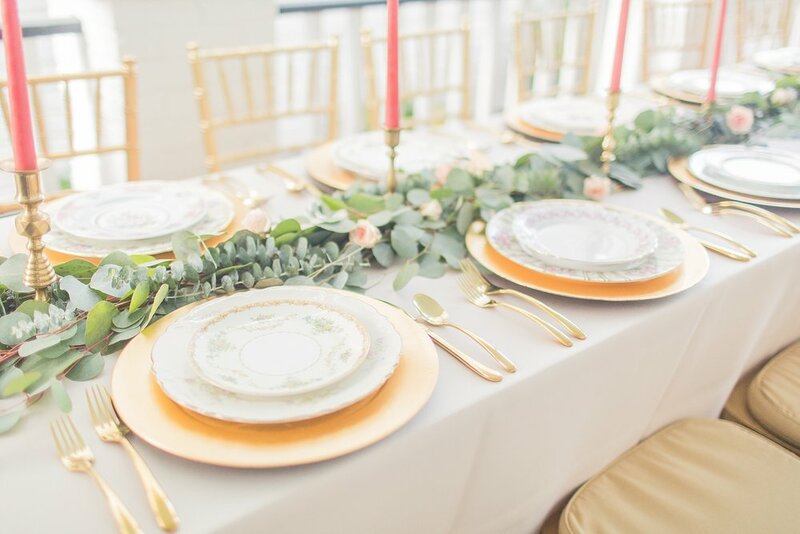 I got to photograph this beautiful setup at The Charleston Workshop hosted by Callie Lindsey, & I was blown away by how beautiful Holly put everything together! 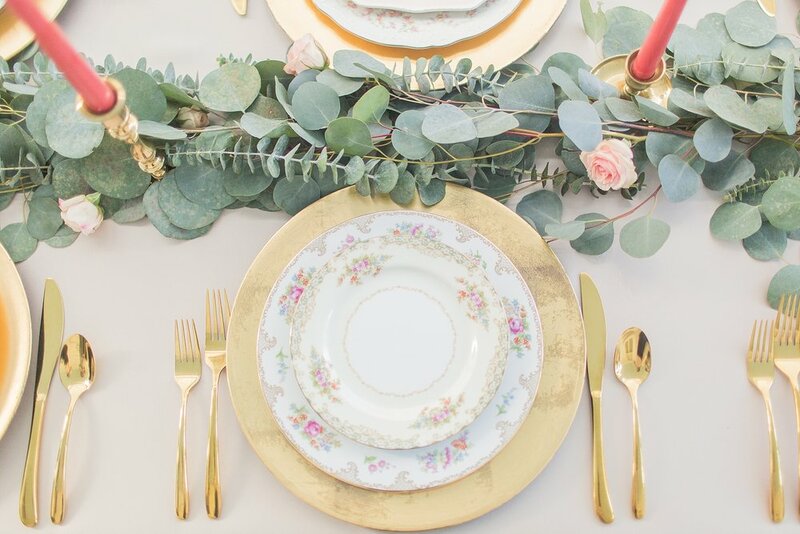 I just loved all of the gold details as well as the unique mixed & matched China from Unique Settings. 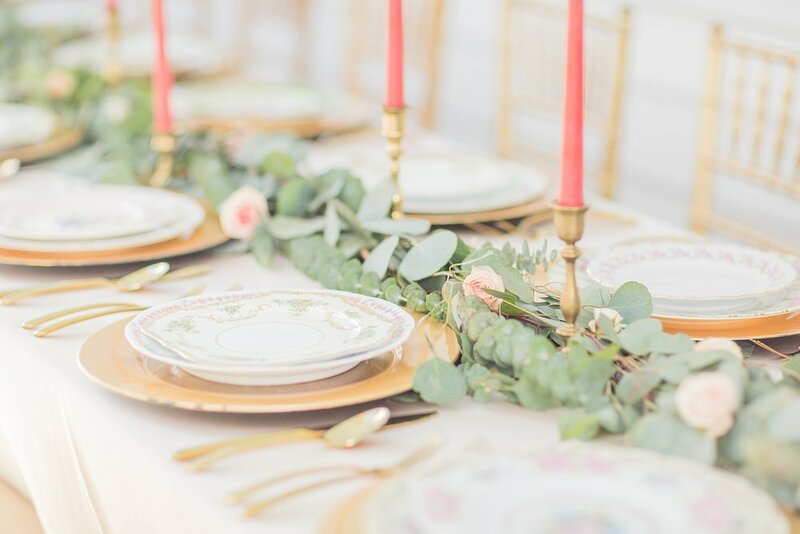 The best part about this shoot was that we all got to each a delicious lunch catered by Rachel Hopkins around the table after we finished shooting!! 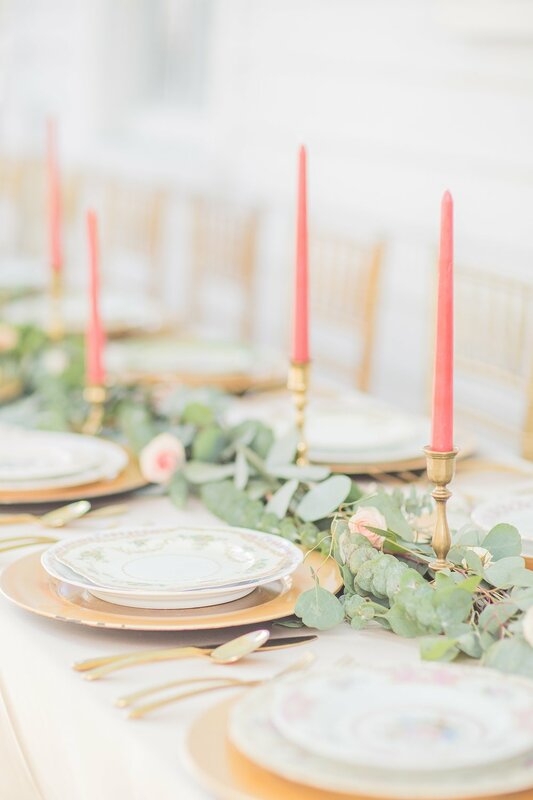 It was such a fun afternoon, & I'm so excited to share so many favorites from this beautiful tablescape today! As we sit around the table today, I pray we don't take for granted the amazing grace lavished on us by our Father! He has given us more than we could ever deserve by giving us life in Jesus! Hoping your Thanksgiving is full of family, delicious food, & most importantly, remembering how blessed we are to have a God who loves us unconditionally!